Warmest thoughts and best wishes for a wonderful Christmas and a very Happy New Year from everyone at Hotcost! If you need to contact us during this time you can email us at client@hotcost.co.uk or upload your project via our easy to use uploader. ‘Vent-Axia welcomes healthy homes and buildings white paper, Keeping your heating on during freezing weather, STA welcomes governments stance on solar, Three quarters of plumbers at risk of knee problems, Small business receive boost from budget plans‘. Leading British ventilation manufacturer Vent-Axia is delighted to welcome the All Party Parliamentary Group (APPG) for Healthy Homes and Buildings’ White Paper Building our Future: Laying the Foundations for Healthy Homes and Buildings, published on 24 October 2018. 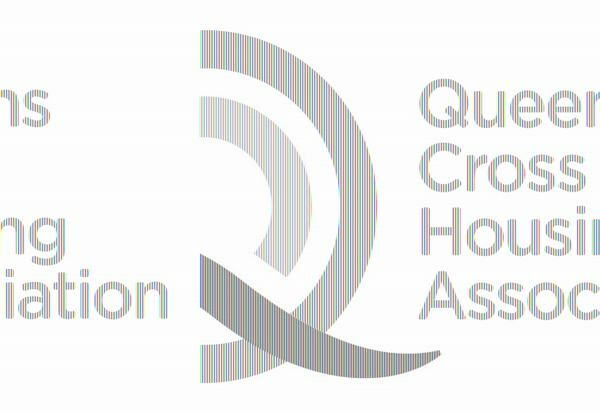 The White Paper makes clear recommendations to the Government on how it can improve standards in housing to benefit occupants’ health and wellbeing. 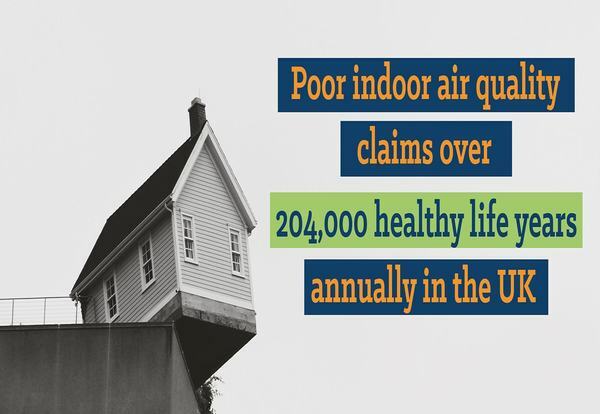 This follows on from the APPG’s green paper published last year which set out the political, economic and business case for healthy homes and buildings. The Government needs to establish a cross-departmental committee for health and buildings to champion change; recognising the interaction between buildings, health, education and the economy. To grow the research and evidence base to develop a clear case for further Government action to improve new build standards. To make renovation of current housing stock and infrastructure a Government priority and develop plans for retrofitting that takes a holistic approach to maximising health and wellbeing. The publication of the White Paper follows hot on the heels of DEFRA’s new Clean Air Strategy consultation, published on 22 May 2018, which confirmed the importance of clean air in the home. This draft strategy outlines the Government’s ambitions to reduce air pollution, making our air healthier to breathe, protecting nature and boosting the economy, with the draft setting a clear direction for future air quality policies and goals. The consultation closed in August 2018 and the final UK Clean Air Strategy and detailed National Air Pollution Control Programme is to be published by March 2019. For new builds, Vent-Axia’s Sentinel Kinetic mechanical ventilation with heat recovery (MVHR) system boasts an impressive 94% thermal efficiency. For private refurbishments, Vent-Axia’s Lo-Carbon Svara offers quiet, disturbance-free running helping ensure good indoor air quality and comfort. Meanwhile the Lo-Carbon Revive and the new PoziDry ProTM PIV unit has been designed specifically with social housing in mind offering an effective continuous ventilation solution for residents. Ideal Boilers has announced that it is introducing Amazon Alexa integration to its Touch Connect product, giving customers the option to control their home heating through voice activation. Touch Connect thermostats can now connect with Amazon’s voice-activated speaker, Amazon Echo, enabling the technology to respond to spoken commands through Alexa. Customers can now ask Alexa to check their home temperature, turn the heating up or down, turn heating completely on or off or even return to any pre-set schedules. It’s also possible to check what the heating temperature is currently set to before making the decision to adjust. A series of commonly used phrases, such as ‘make it warmer’ or ‘turn the heating down’ have been programmed for use. 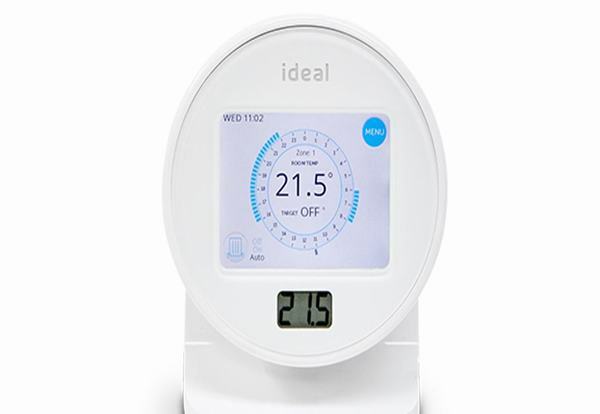 Luke Pykett, Head of Marketing at Ideal Boilers, commented: “Earlier this year we responded to increasing consumer demand for smart home devices through introducing Touch Connect, the app-controlled thermostat offering total heating comfort directly from smartphones, and have received fantastic customer feedback. The use of smart speakers in UK homes is on the rise. YouGov reports that UK ownership has doubled in six months, from Q3 2017 to Q1 2018 and around 1 in 10 Brits currently own a smart speaker, which totals around 6.6 million people. 75% of the UK market uses Amazon Echo, making it the clear market leader. There are over 1.6 million new Condensing boilers installed every year and they can produce between 600 and 1200 litres of condensate per year which needs to be piped to a drain. If the pipework runs externally, isn’t large enough and insulated with PVC coated weather proof insulation. This pipework can freeze sending the boiler into lockout mode and will leave the home without heating. Dave Salmon, of Plymstock Gas & Heating Services Ltd in Plymouth is one of many installers across the country that gets called out by his customers’ during harsh winter conditions within the boiler condensate pipes frozen up and putting boilers out of action. Having followed the boiler manufacturers technical advice which solved the problem in the short term, Dave began working on a long term solution. This led to the development of the Boiler Buoy condensate bypass valve, a solution which allows the engineer or householder to drain off the condensate in a controlled way using a valve connection and hose. This easy to fit, low cost solution can be fitted as part of the original boiler installation or during emergency call-outs or regular servicing. Once fitted the boiler buoy, will ensure that the boiler can operate uninterrupted throughout the coldest of winter conditions. 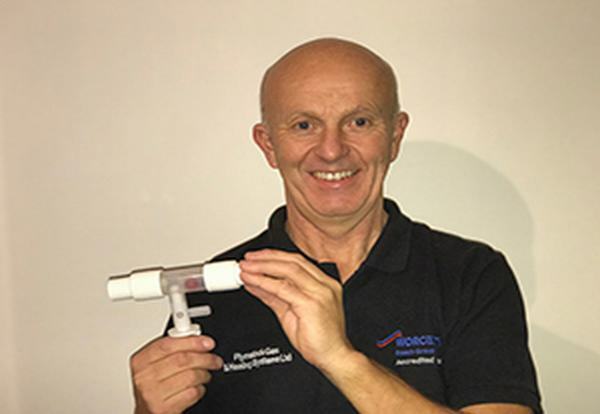 On his product, Dave said: “The idea came about following the winter of 2009/10 when the temperature reached a historic low and put tens of thousands of boilers out of action because of frozen condensate pipes leaving many homes without heating. As installers, whilst we can solve the problem in the short term, I felt that a long term solution was well overdue. The products is now in its 9th year of production and tens of thousands have been installed and are a preferred option for many housing associations looking to avoid tenants being without heat in the winter months on historical boiler installations. The product has been tested by some of the larger boiler manufacturers and acknowledged as an optional solution to keep boilers running. During March 2018 we once again encountered severe low temperatures and home across the country were once again left without heating. The Boiler Buoy is manufactured by Pump House and is available via all major heating wholesalers. BCIA, the Building Controls Industry Association, is encouraging the wider industry to consider the importance of implementing effective building controls from the outset of building projects in order to meet current legislation. The 10 80 10 rule represents the total lifetime costs of a building, whereby only ten per cent of costs are invested at the design stage while a staggering 80% is spent on the running and maintaining of a building. The BCIA is calling for a change in approach from those in the supply chain at the initial stages of building projects. By investing in an efficient controls system at the start of construction, this will dramatically lower operational costs in commercial buildings over the long term while also helping to meet a wide range of legislation. A good example of this is the Minimum Energy Efficiency Standard (MEES) which came into force earlier this year. It is now unlawful for a landlord to let or renew a lease on a property if the Energy Performance Certificate (EPC) rating is F or G.
By installing additional zone control for instance, or demand control of lighting and heating using occupancy sensors, your EPC rating can receive a welcome boost and substantially lower unnecessary energy usage. 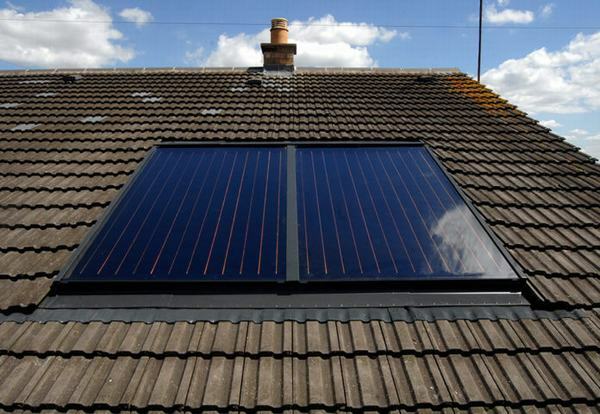 It is these relatively simple additions to the BMS system that have a significant impact on the EPC rating. 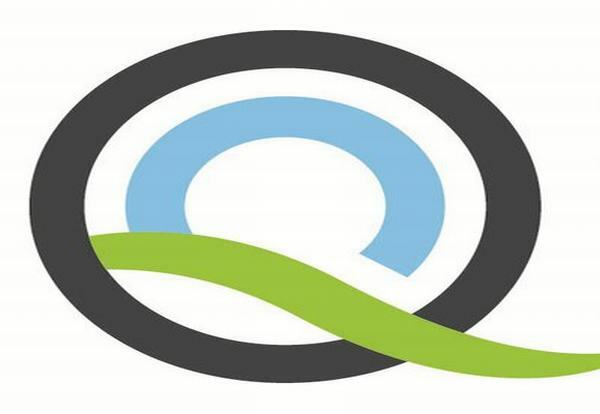 FireAngel has signed a contract to supply Glasgow-based Queens Cross Housing Association with over 12,000 battery-powered smoke and heat alarms. The WST630 smoke alarms and WHT630 heat alarms will be installed in over 3,500 properties across the city centre due to Scottish Government’s pending legislative changes following the Grenfell fire tragedy. Under these changes to the Housing (Scotland) Act, all homes will require sealed long-life battery or mains wired alarms that are interlinked, with one functioning smoke alarm in the room that is frequently used by the occupants in the daytime, one functioning smoke alarm in every circulation space on every floor, such as hallways and landings, and one heat alarm in every kitchen. A carbon monoxide alarm will also need to be fitted in each room with a carbon-fuelled appliance or flue. The Wi-Safe 2 wireless interlink alarms from FireAngel were chosen not only to ensure each property achieves constant compliance through the use of interlinked alarms installed in the kitchen, hallway and living room, but also due to the utilisation of FireAngel’s Thermoptek Multi-Sensor technology. Over an eighteen month period, the alarms will be installed by Queens Cross Housing Association’s maintenance team, with FireAngel’s W2-CO-1OX carbon monoxide alarms also being installed in properties where there is a carbon-fuelled appliance or flue present. 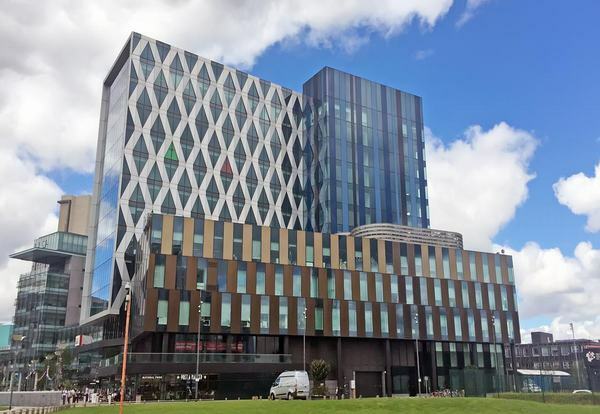 The UK’s first smart meters research facility opens this month at The University of Salford. 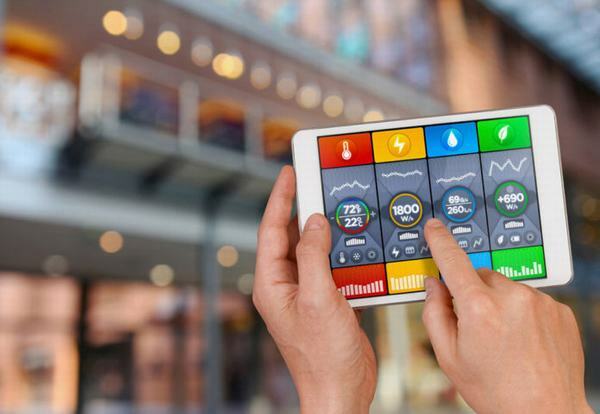 The ‘Smart Meters>Smart Homes’ laboratory aims to supply government and consumers with data and advice on smart meter performance and usage, and provide a research base for industry and manufacturers. University researchers, working in partnership with industry, will explore how smart meters best work in tandem with the growing array of home technology like energy savers and storage devices, EV chargers, bots, smart speakers, sensors, and wearables. Lead Researcher Professor Will Swan said: “Domestic energy systems are becoming more complex due to the advent of renewables, time-of-use tariffs, energy storage, and a greater fluidity in the customer-supplier relationship. The launch, on 7 December, will be attended by Rebecca Long-Bailey, Shadow Secretary of State for Business, Energy and Industrial Strategy and MP for Salford & Eccles, along with research, industry and consumer representatives. Why long-lasting sensors are key to designing the home of the future! Home automation has been gaining traction over the past few years, with massive developments in features and relevant technologies. However, these technologies are only as effective as their power source. Here, Michele Windsor, global marketing manager at home automation battery provider Ultralife Corporation, explains the importance of having long lasting batteries at the centre of home automationproduct design. Rube Goldberg machines are a fascinating spectacle to watch, with intricate parts moving around to create a symphony of movement to perform tasks. However, to function, every single part must work perfectly, otherwise it takes a lengthy reset before the spectacle can resume. Just like in a Rube Goldberg machine, every piece in a smart house must work perfectly in order to create the spectacle that makes your life easier and more efficient. 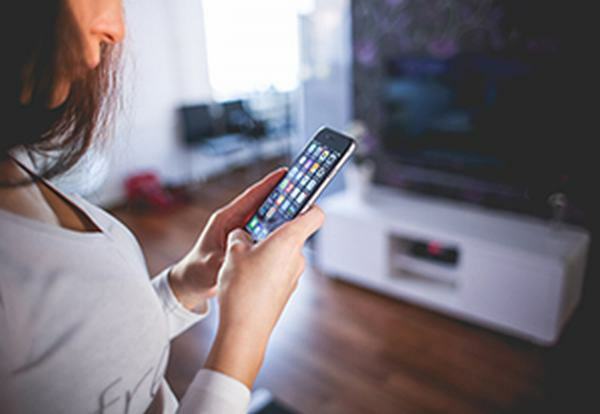 To make sure your smart house is always working, its sensors must always be working. Sensors are what feed data to the smart house, so it knows what time it is, what the temperature is, or whether the sun is glaring through your windows. Most sensors are battery powered and, as they need to be active constantly, it is important to make sure that they have batteries that are reliable and long lasting. Based on Ultralife’s experience in the sector, many sensors for smart home devices arrive on the market with CR123A model batteries. However, not all these batteries are created equal. Many are often limited in their battery capacity, which means a shorter operating life for the sensor. Design engineers can overcome this by choosing a long-lasting CR123A battery suitable for home automation sensors, such as the CR123A range of batteries produced by Ultralife. They have an improved internal spiral construction that provides a higher capacity than is currently available in similar products on the market, while remaining long lasting for home automation functions. According to data from Strategy Analytics, 38 per cent of homes in the USA will be smart homes by 2019.Because of this, it is incredibly important to set out solid design foundations now. Putting long lasting batteries into smart homes design now will avoid mass sensor outages, customer dissatisfaction and possible backlash against manufacturers in the future. Whether it be your security cameras, lights, sprinklers, or your fans, sensors keep smart devices fed with relevant information to ensure they are working precisely to maximize user comfort and convenience. In a sense, making intelligent decisions about smart homes now will allow our future selves to be awed by anintricate connected Rube Goldberg machine, performing millions of tasks simultaneously to make our lives simpler and stress free. 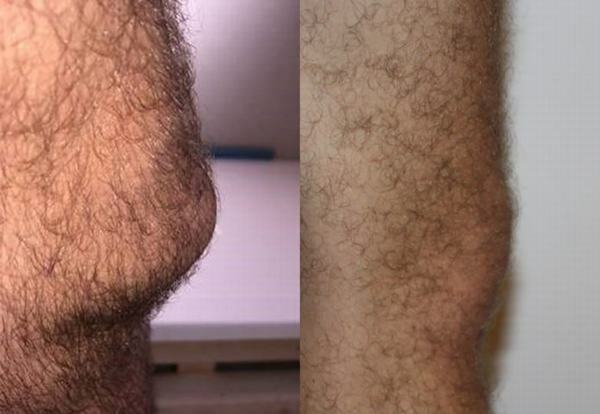 The study conducted by The IPG, a leading group for plumbing, heating and bathroom specialists, also discovered that 57% of plumbers surveyed felt that they would need to undergo knee replacement surgery in the future due to the hardships of the profession. Nearly two thirds (59%) also felt that they would be forced to retire early because of the injuries they pick up in their work. On average, a UK plumber works 47 hours a week, with around half of that time spent on their knees. This can have a detrimental effect, especially if no protective work wear is worn. However, even with kneepads 77% specified that they still experience issues. Tony Dark, director of trade at The IPG, said: “This is a serious issue that needs to be addressed. We would like to urge all plumbers and installers to ensure they are using specialist protection while on the job, from apprentice level all the way up to those who have been working in the trade for decades. As we approach the date when the 18th Edition of the IET Wiring Regulations (BS 7671:2018) comes into effect (January 1 2019), it is important for all electrical contractors to ensure that they are up-to-date with the new requirements. This includes new and amended requirements and recommendations around the use of Arc Fault Detection Devices (AFDDs), Surge Protection Devices (SPDs), methods of support of wiring systems and earthing arrangements for electric vehicle charging equipment, among others. To help industry get up-to-date, the IET offers a dedicated course on their online training resource, the IET Academy, offering comprehensive training for City & Guild’s 2382:18 qualification. 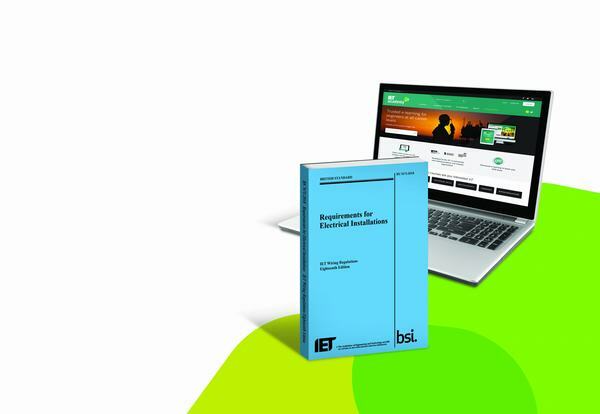 The IET Academy provides the only course for 2382 that has been prepared by the IET, which jointly publishes the IET Wiring Regulations with BSI. The authors have been carefully selected for their industry experience and knowledge of BS 7671. It is also the only online course to be endorsed by City & Guilds for this qualification. The course is available for individuals or for corporate customers. For more information, visit theiet.org/academy-regs-ecn or contact academy@theiet.org. “The gas work that Mr Lowry undertook put the lives of the homeowners and anyone visiting them at serious risk from carbon monoxide poisoning. 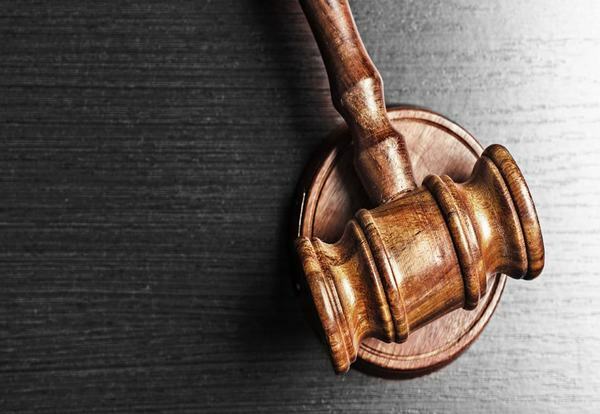 A Torquay landlord has been sentenced after failing to ensure proper landlord’s gas safety checks were undertaken at his tenanted property. Newton Abbot Magistrates’ Court heard how Mr Mehmet Sevim, a former Gas Safe-registered engineer and current landlord of residential properties, had contracted a fitter who was not a member of Gas Safe Register to undertake a landlord’s gas safety check at one of his tenanted properties. During an investigation by the Health and Safety Executive (HSE), Mr Sevim repeatedly maintained throughout that he had used a person who he could not name to undertake the landlord’s gas safety check for him. He failed to make any checks on the individual, including checking if he was registered with Gas Safe Register. The investigation also found the landlord’s gas safety certificate used false Gas Safe Register engineer details which Mr Sevim later admitted to the court that he had produced the fraudulent certificate. It was also found that Mr Sevim had tried to bribe a prosecution witness before the trial by offering them £300 to change their evidence. Mehmet Sevim of Ellacombe Church Road, Torquay was found guilty of breaching Regulations 36 (4) of the Gas Safety (Installation and Use) Regulations and has been sentenced to 26 weeks prison, suspended for two years and ordered to undertake 240 hours unpaid work. Mr Sevim was also ordered to pay costs of £5,330.76. Speaking after the hearing, HSE Inspector Simon Jones said: “Mr Sevim lied throughout this investigation and only at sentencing did finally tell the truth about how he falsified a landlord’s gas safety certificate. 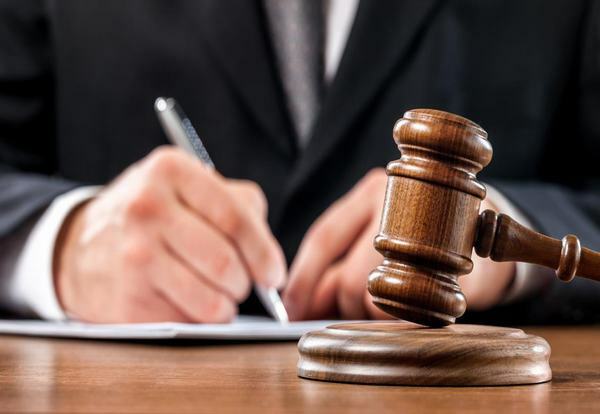 “There can be no excuse for a landlord to ever falsify a gas safety certificate and this sentence should send a clear warning to all landlords’ that the courts take such matters very seriously. Fuel poor households in the UK have risen by 210,000 to 2.55 million, according to the Committee on Fuel Poverty’s (CFP) Third Annual Report. 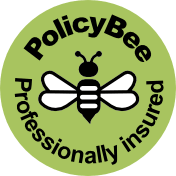 The CFP is an advisory non-departmental public body sponsored by the Department for Business, Energy & Industrial Strategy (BEIS) with a remit to support and challenge the government on its fuel poverty strategy. The committee has made a series of recommendations on how the government can alter its current strategy to meet 2020/25 milestones, and 2030 targets for fuel poverty and energy efficiency. As a result of “slow than forecast progress” and an increase in fuel poor homes, the CFP estimates that the funding gap needed to successfully deliver the government’s fuel poverty strategy has increased from £15.1 billion to £17.1 billion. The fuel poverty strategy is based on the idea that energy efficiency upgrades are the most effective way to tackle fuel poverty. However, because this is fundamentally a long-term strategy, it is important to have assistance schemes in place to help homeowners pay fuel bills and stay warm. 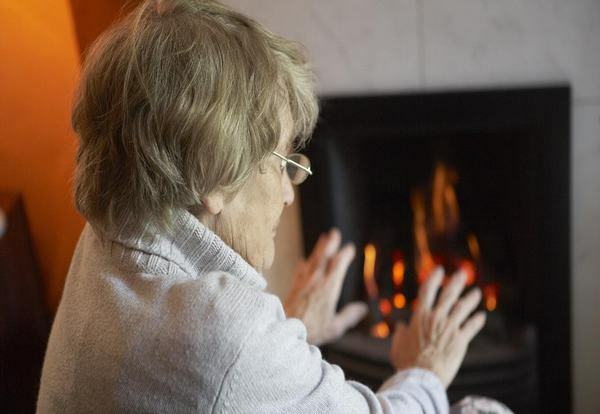 The CFP report recommends that the government improves these relevant schemes to better target fuel poor households and ensure that households in fuel poverty receive assistance at least equivalent to pensioners. To read the CFP report, and see the committee’s full list of recommendations to the government, click here. ECA and BESA’s call to protect SMEs from employment red tape and to increase support for engineering skills has been reflected in the Budget announcement made by Chancellor Philip Hammond on Monday October 29. The Chancellor plans to change the way self-employed people working for companies are taxed, by extending the public sector IR35 system to the private sector. The government move is aimed at ensuring that individuals who work through their own companies, but operate like employees, are classified as employees for taxation and national insurance purposes. This change only applies to private firms with more than 50 employees or a turnover of more than £10 million, in order to protect small businesses from red tape. These medium and large businesses will be responsible for checking contractors’ status from April 6 2020, allowing employers time to prepare. The Chancellor also acknowledged the vital importance of investing in technical skills, by announcing that the 10% contribution rate that SMEs must pay when they take on apprentices will be halved to 5%, although the exact date this will come into effect remains to be confirmed. While the change applies principally to SMEs, it could also benefit Apprenticeship Levy payers who have used up their levy pot, and wish to take on more apprentices. Andrew Eldred, ECA director of employment and skills, commented, “The decision to reduce co-investment rates for apprenticeships, and apply IR35 changes in the private sector to medium and large employers, show that the government has taken on board representations from ECA. A further consultation on the detailed operation of the IR35 reform will be published in the coming months. This consultation will inform the draft Finance Bill legislation, which is expected to be published in summer 2019. 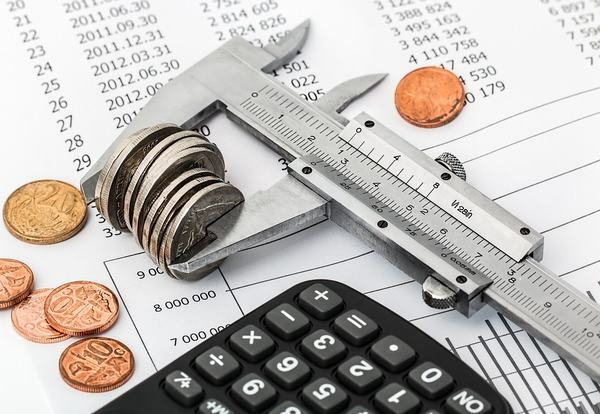 Ahead of the Budget, ECA and BESA issued a five point plan to Chancellor Philip Hammond, including proposals on IR35, technical skills, fair payment, cash retention and low-carbon investment for buildings and infrastructure. We hope you had a relaxing break celebrating with friends and family. We are looking forward to providing you with the very best estimating service in the UK and beyond.